Well, this I suppose presents an introduction to what will be going on here. So, from that moment, I was sold. I am starting this blog because it seems like a pretty good idea to record what I have done, hopefully get some inspiration from some readers (hopefully get some of those too), then record my goings on as well. 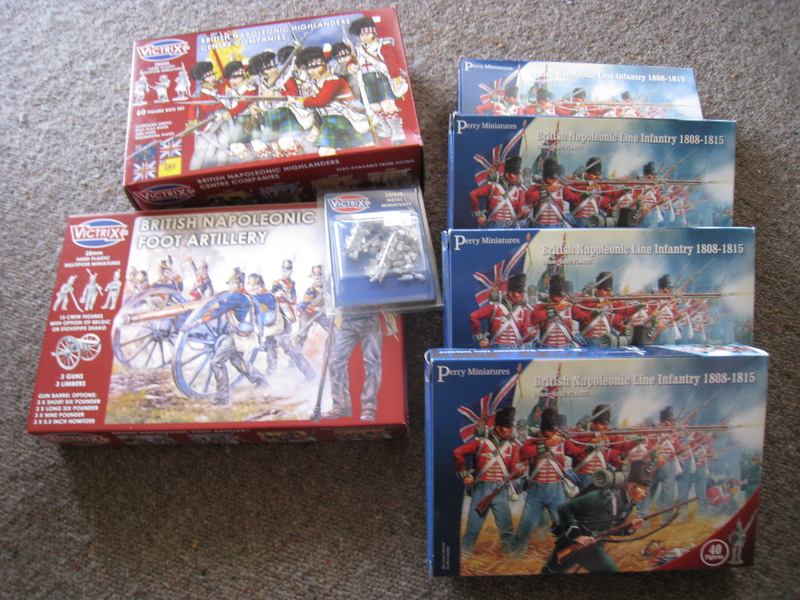 Today a large order from the wonderful fellows at Warlord Games arrived (free shipping in May, ooh yes). 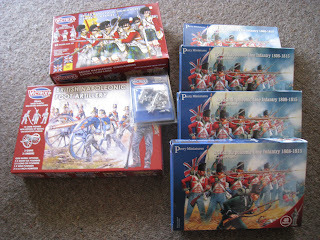 It looked like this, contained within was the core force of my British Napoleonic Army! Well, there it is, a first post. Expect some assembled brits, perhaps even one painted at some point? 'Tis a slippery slope and I refuse to join in until Plastics Russian infantry is released! At this rate, TIMCHURCH is going to corner the wargaming blogsphere. 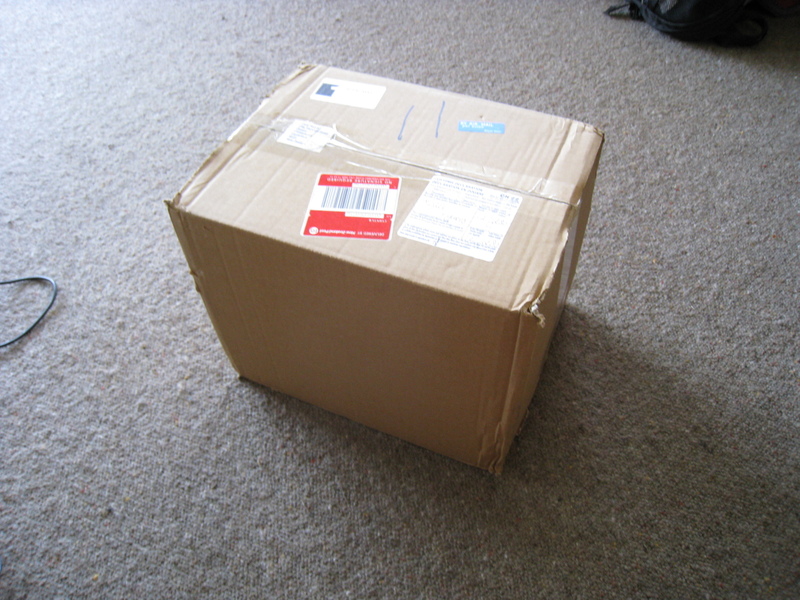 I started mine out with exactly this, a pile of plastics boxes from the UK. I wish those Russians were going to have Greatcoats! We'll see if the Macedonians win out... but there is always the possibility of Brits.